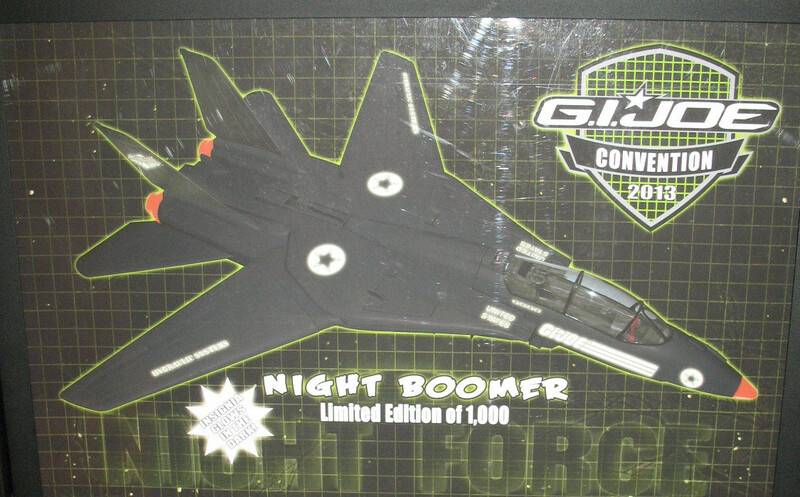 Categories: General Joe Stuff | Tags: Cobra, Collecting, G.I. 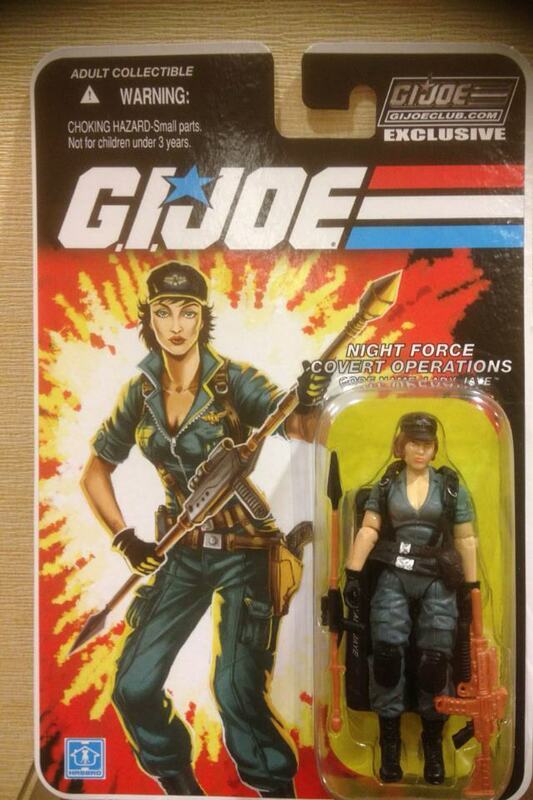 Joe, GI Joe, Joe Con, Joe News, Leaky Suit Brigade | Permalink. Chuck Dixon: It’s been crazy. 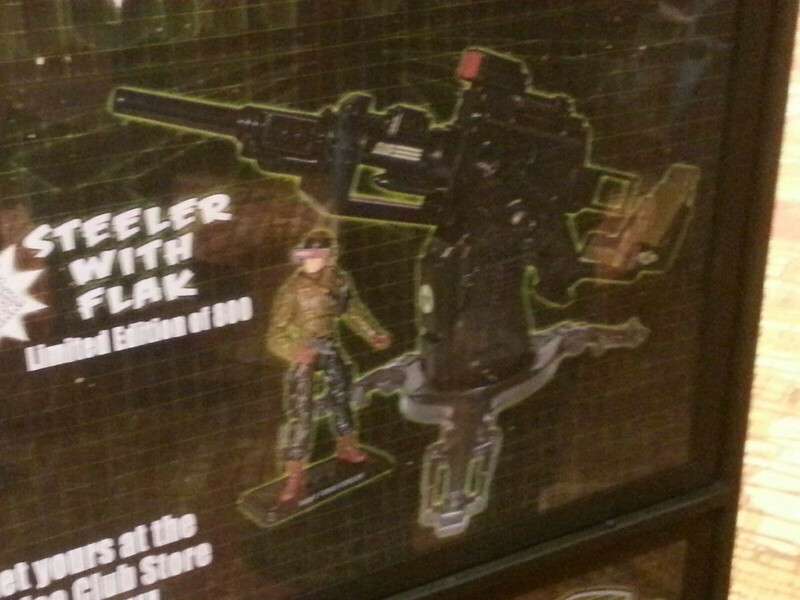 Snake Eyes was believed dead by the G.I. Joes but in actuality he’s returned to the Arashikage — the ninja clan that raised him. Due to his actions with his old clan, the G.I. Joes discover Snake Eyes is alive and working for the bad guys, although all of his operations with his ninja pals has harmed COBRA only. Still, he’s seen as a security threat to the USA and the G.I. Joes. That brings us to the arc “Target: Snake Eyes” in which the Joes (led by Scarlett) go to take out their friend. “Snake Eyes & Storm Shadow” #21 is an aftermath to the events in that arc. Why homage the classic silent issue from “G.I. Joe” #21 in “Snake Eyes & Storm Shadow” #21? IDW asked me if I was up to it. I wasn’t sure but took the challenge and it worked out well — I have [artist] Robert Atkins to thank for that. To make a wordless comic story work, an artist with strong storytelling chops is essential. I didn’t work like Larry Hama did on the original “G.I. Joe” #21 — I wrote a full script. Larry actually drew the layouts for his classic issue. In the original story, Snake Eyes and Storm Shadow were at each other’s throats. Is this the case once more? To tell you anything about the issue would give too much away. I will say Storm Shadow and the Hard Master meet for the first time in a long time. Did you read “G.I. Joe” #21 when it first came out? There was nothing else like it at the time coming from a mainstream publisher. Absolutely, I read it when it came out. It’s a real landmark. I was blown away when Jim Sterankoopened “Nick Fury: Agent of S.H.I.E.L.D.” with three wordless pages, and here was Larry doing an entire issue only in pictures. I think it should have had more impact on mainstream comics; a return to pure visual storytelling, but Larry was seen as an outlier in comics. Pioneers always are, right? Does this new story tie-in to the continuity of the original at all, or is this a completely new universe next to the old Marvel title? I think of it as a soft re-boot or re-imagining. I’m really not changing a whole lot. I suppose the biggest change is roping in some stuff from the cartoons and making them comic book canon for this continuity, but the G.I. Joes are the ones you know and COBRA is just as badass. I took an “if it ain’t broke…” approach to this issue. How does writing a silent issue change your creative approach to storytelling? More panels. Grid only. It has to look like a sequence of static images telling a story, not simply a comic book story with the word balloons left out. There’s a big difference. I have to have a lot happening in order to give the reader the feeling they haven’t been cheated by the lack of words. Also, lots of visual tricks and plenty of rewards and surprises for the reader. These kinds of issues rely on a lot of action, but the action must carry a through story with a payoff or it’s just an extended action sequence. Have you done silent issues in any of your other comic book work? I did a wordless issue once before when I was working on “Way of the Rat” at CrossGen, so I knew what I was in for. I also did a couple of wordless stories when I was working on “Batman,” but they were short stories. What else is coming up in your “G.I. Joe” comics? We’re shaking things up a bit on the “G.I. Joe” titles. I’ll be starting (or re-starting) “G.I. Joe: Special Missions” — it was always my favorite “G.I. Joe” title and it’s cool to get a shot at it. My first arc is Scarlett and her Spec Missions team against the Baroness in an underwater heist story. Paul Gulacy is on the art, so I’m thrilled. Categories: Uncategorized | Tags: Comic Book Resources, comics, G.I. Joe, GI Joe, Interview, Joe News, Leaky Suit Brigade | Permalink. PAWTUCKET, R.I. – October 11, 2012 – Hasbro, Inc. (NASDAQ: HAS) officially announced that it will create KRE-O building sets based on the world famous characters and vehicles from its G.I. JOE brand. The new line of KRE-O G.I. JOE building sets will be available exclusively at Toys“R”Us retail locations and www.Toysrus.com beginning in February 2013. 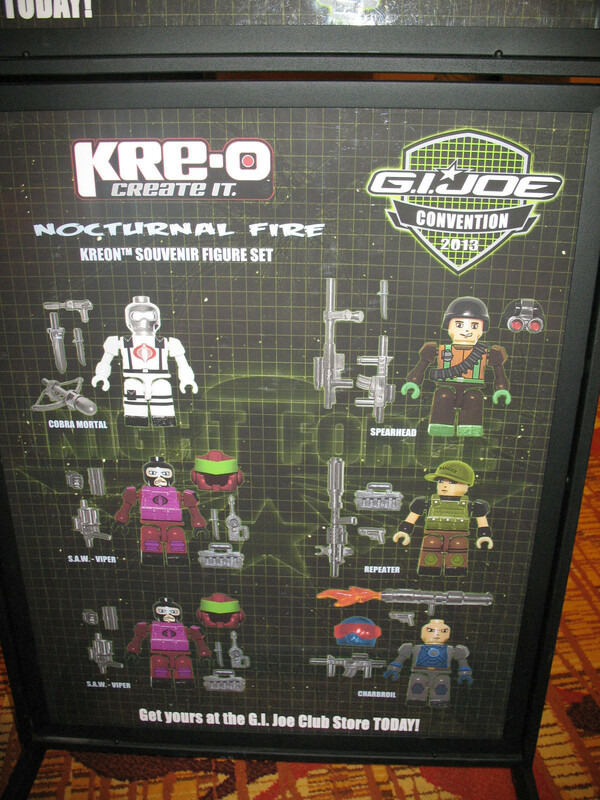 Hasbro unveiled the new KRE-O G.I. JOE line last night in New York City at its annual New York Comic Con preview event celebrating the Company’s extensive portfolio of pop culture brands. With G.I. JOE toys recently topping The Children’s Museum of Indianapolis’ list of “100 Toys That Define Our Childhood” at #1, the upcoming G.I. JOE: Retaliation movie from Paramount Pictures scheduled to hit theaters on March 29th, 2013 in 3D and an ongoing comic book series from IDW Publishing, the G.I. JOE brand from Hasbro continues to captivate generations of fans around the world. The addition of KRE-O G.I. JOE sets to the brand’s portfolio will offer the opportunity to build environments and vehicles to play out the G.I. JOE vs. COBRA fantasy and will feature KREON figures based on popular characters from both the heroic G.I. JOE team like DUKE and SNAKE EYES as well as the villainous COBRA organization like FIREFLY and STORM SHADOW. Start your KRE-O G.I. JOE collection with these iconic G.I. JOE and COBRA characters! Each G.I. JOE KREON figure comes with a unique weapon and cool accessories, and is sold blind-bagged. The first wave of characters includes CRAIG “ROCK N’ ROLL” MCCONNEL, KIM ARASHIKAGE, COBRA TROOPER, CRIMSON GUARD, SCARLETT, COBRA AXE NINJA, COBRA NINJA VIPER, QUICK KICK, ALLEY VIPER, EDWARD “TORPEDO” LEILOHA, and ADVENTURE TEAM COMMANDER. Each sold separately. Help defend the G.I. JOE base at Checkpoint Alpha from the villainous forces of COBRA! Build the checkpoint tower with push-fire missile as well as FIREFLY’S motorcycle in this 82-brick set, which comes with a FIREFLY KREON character, LAW & ORDER KREON character and a KREON dog. Can SNAKE EYES save the G.I. JOE Dojo from COBRA’s ninja attackers? Build the Dojo, a weapons rack and a spinning blade training unit in this 100-piece building set, which also includes four KREON figures — SNAKE EYES, STORM SHADOW and two COBRA RED NINJAS! When COBRA attacks with its new SERPENT ARMOR MECH SUIT, it’s up to the G.I. JOE team to ride into battle in the VAMP 4X4! Build both mighty vehicles with this 175-piece building set, including an opening cockpit and opening and closing claw on the SERPENT ARMOR, and rotating wheels and opening doors on the VAMP. Also comes with two KREON figures — DOUBLE CLUTCH and COBRA MECH SUIT TROOPER. COBRA has stolen the plans to the G.I. JOE team’s base and they’re flying away with them in the COBRA CLAW GLIDER. The only thing that can save the G.I. JOE team is the iconic G.I. JOE DRAGONFLY helicopter! The 152- piece building set builds a helicopter with opening hatch, push-fire projectiles and a propeller that spins with the push of a button! 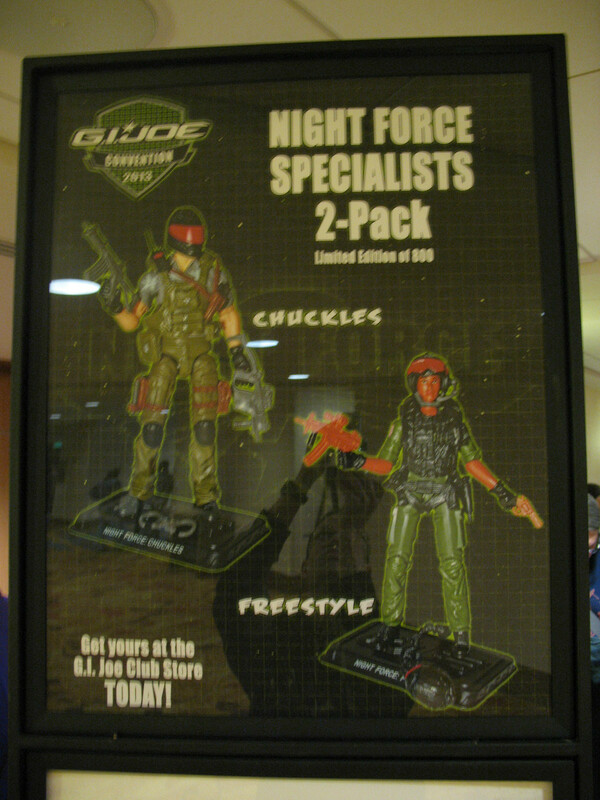 Also comes with two KREON figures — a COBRA TROOPER and WILD BILL. Build the ultimate COBRA assault vehicle to battle the G.I. JOE team in their BATTLE QUAD with push-fire projectile. The COBRA ASSAULT VEHICLE features a rotating turret with two spring-loaded projectiles, six rotating wheels, an opening front hatch and an opening back to store weapons. The 246- piece building set also comes with three KREON figures — FLINT and two COBRA TROOPERS. The battle between G.I. JOE and COBRA takes to the open water as the G.I. JOE THUNDERWAVE JET BOAT goes up against the new COBRA STING RAIDER. The THUNDERWAVE JET boat features a command center for interior play, spring-loaded firing weapon and a small land vehicle that can roll off the ship and down the opening ramp in the back. The 218- piece building set also includes three KREON figures— two G.I. JOE characters (LT. CUTTER and SGT. STALKER) and one COBRA character. Set is not intended for use in water. Yo, JOE! Build the G.I. JOE team’s battle platform base as it comes under attack from COBRA TROOPERS looking to spring COBRA COMMANDER out of jail! The 372- piece building set allows you to build the base and two COBRA vehicles, the TROUBLE BUBBLE and FANG, as well as a G.I. JOE RAM CYCLE. The base includes a command center for interior play, rotating flick-fire missiles and an opening jail cell. Also includes five KREON figures — CONRAD “DUKE” HAUSER, ROADBLOCK, COBRA COMMANDER and two COBRA TROOPERS, each with unique weapons and accessories! Categories: Uncategorized | Tags: Joe News, Kre-o | Permalink.